THEN Oliver's on James Street will match it to purchase a $5000 washing machine that recycles water and uses it economically! Alice Ross returned from über sustainable Germany and realised that her beloved home town of Perth was seriously behind the times when it came to innovative sustainable ideas and decided to take some action. Alice is passionate and committed to bringing the community together to raise collective awareness and promote collaborative action for a better, brighter, greener and happier future. We targeted the restaurant industry as they are synonymous with high waste output and more than often they deal with it in an unsustainable fashion. Every facet of society has to actualize their responsibility with the waste they produce. 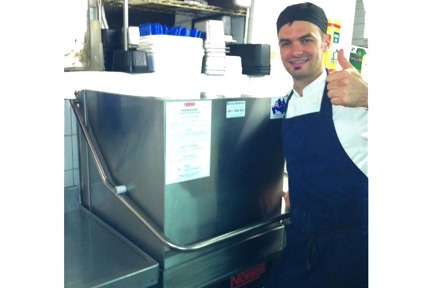 Check out Oliver’s new water wise, energy efficient, shiny new dish washer! 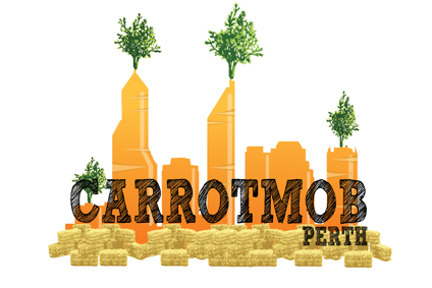 Wayne has not only installed the dish washer with funds raise from Carrotmob, but has gone to town with environmental upgrades at his own expense! He’s installed new energy efficient lighting upstairs, sourced a local organic butcher, expanded his local wine selection and fixed his fridge seals!! !